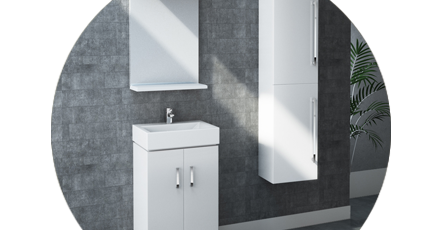 The Nova range of vanity units, that feature a ceramic basin, are an ideal choice for smaller spaces. This new range of minimalist furniture will provide you with a practical choice for everyday living. Helping you achieve a minimalist modern look, the Nova bathroom furniture range offers a stunning range of contemporary bathroom furniture. The Nova range offers a stunning collection of modern bathroom furniture that is available in a number of stylish options. Browse Nova's stylish range of modern furniture that is available in a white gloss finish.